Editor’s Note: 70-year-old David Hale and 72-year-old Harold Knight formed Knight & Hale Game Calls in 1972. Before then they helped release some of the first wild turkeys reintroduced to the state of Kentucky. 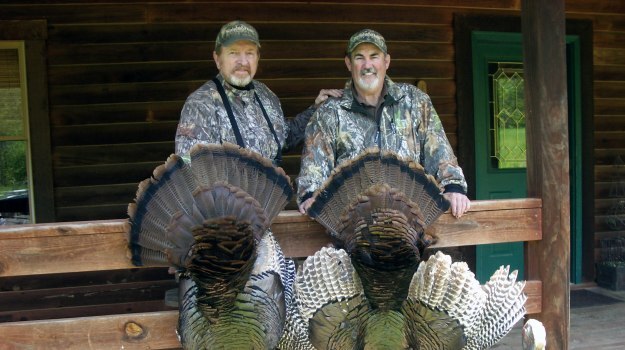 When David Hale first started hunting turkeys, he never had seen or heard of a turkey call. He hunted turkeys like he would hunt a deer. Because Hale was a superb woodsman, he would spend time learning the movement patterns of the few gobblers there were to hunt in his area. Then he'd take a stand and wait on a turkey to show up. He’s always been an avid deer hunter too. I've hunted opening day of bow deer season in many states across the country. 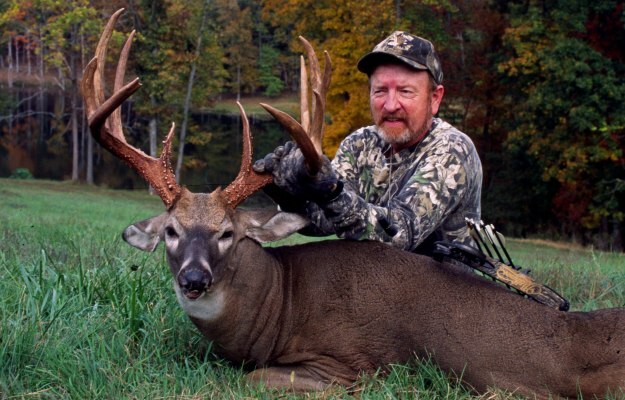 South Carolina’s bow/deer season opens in August, and Kentucky’s bow/deer season, where I live, opens in September. At that time of the year, bucks are usually in their bachelor groups, in the velvet and easy to pattern, because regardless of the weather, bucks have to eat. So, anywhere you can identify a food source that the deer want to eat, you usually can find bucks. I start putting out trail cameras about 2 months before opening day of the season to inventory the land I'll be hunting that season. I want to see too how many bucks I'll have to hunt, what size their racks will be, and where the bigger bucks live that I want to try and take. There is a small window of time when the buck deer stay together with their antlers in velvet. But once they lose that velvet, they change into a different animal and can’t seem to tolerate being around each other. The other thing that happens during early bow season in most states is that you have to deal with ridiculously hot weather that can be both a good thing and a bad thing. 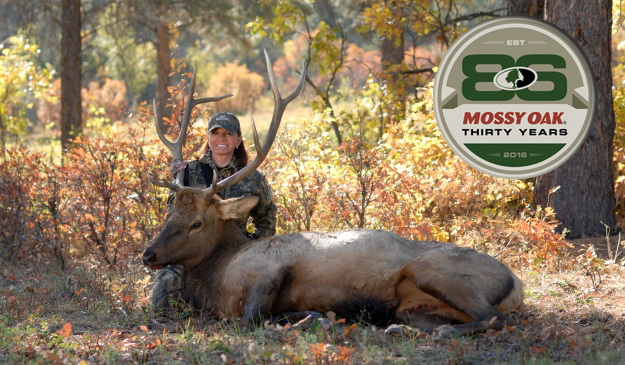 The good thing is that most hunters don’t want to hunt in 90-degree weather, so you have less competition. The bad things are the mosquitoes, ticks, redbugs and an abundance of human odor. The deer have to live in that environment, and to get a buck during early season, you’ve got to learn to live in that environment also. Thank goodness ThermaCELL came up with its solution for early-season hunting. For some reason and I don’t know why, deer don’t seem to be bothered by the odor that the ThermaCELL puts out. I've learned that that ThermaCELL will keep mosquitos and bugs off me and 3-4 feet away from me when I'm in my tree stand. To keep ticks off of me, I use Permethrin. To solve the human-odor problem, I keep my clothes and myself as clean as I can be. I also use Code Blue Scent Eliminator when I walk to my tree stand and get in my tree stand – while I'm sweating up a storm. If you’re a serious deer hunter, you'll use every odor-control product you can. If a deer can’t smell you or see you, because you're wearing Mossy Oak, then you have a very good chance of taking that deer. Before I go bowhunting in the early season, I depend on my trail cameras to find the buck I want to try and take, and to tell me when and where he's walking during daylight hours. This information tells me where I need to put up my tree stand. I’ll use food attractants or bait to stop a deer close enough to my stand to get a bow shot. In Kentucky, we can use bait to attract deer. My two favorite attractants are corn and molasses. 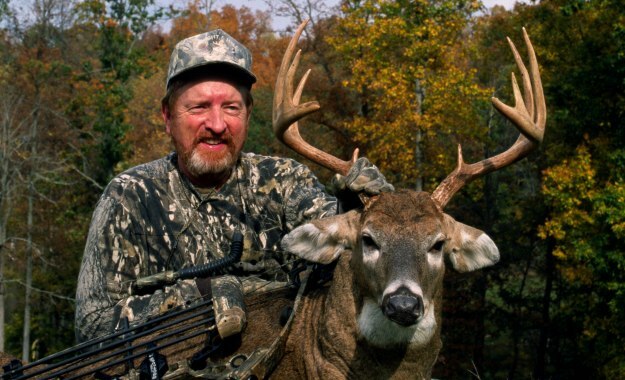 In the early bow season, the bucks punch a clock. By that I mean, you can pretty much set your watch by the time a buck is supposed to appear, and he’ll usually be in that spot at that time. That’s the route he always walks at the time he appears in front of your trail cameras. 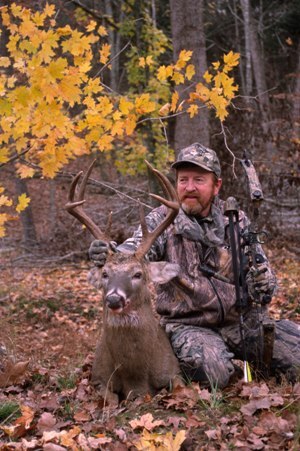 I believe that older-age-class bucks are much easier to find, pattern and take at the first of bow season. That’s one of the reasons I started bowhunting. I wanted to get to the woods ahead of the crowd, and I wanted to hunt bucks when I felt like I was most likely to be able to take them. Turkey hunting was really in its infancy in the 1980s. Then the sport of turkey hunting exploded nationwide, and Knight & Hale Game Calls and Mossy Oak camo were right in the middle of that turkey hunting revival. 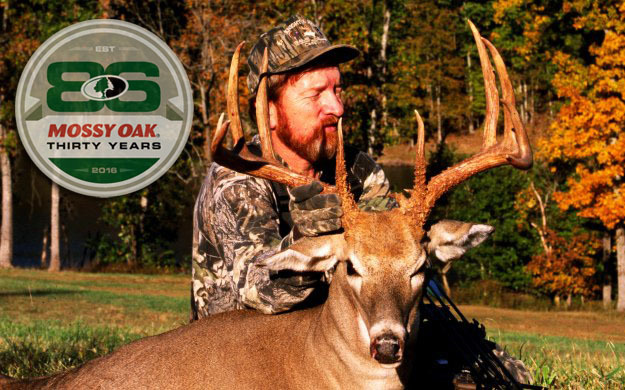 I saw the future of Mossy Oak growing during those early days, and I don’t see that growth of Mossy Oak stopping anywhere in the future. 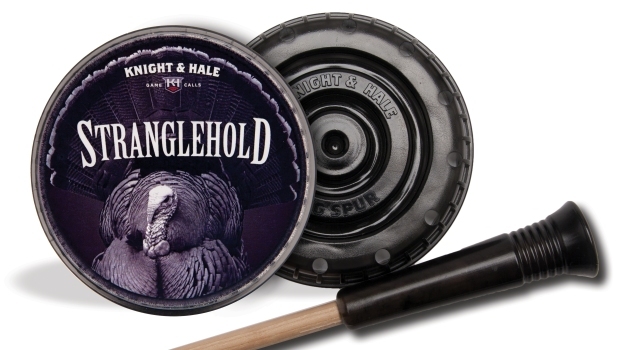 Knight and Hale Game Calls unveils the all-new Stranglehold Pot Call designed to drive big gobblers wild. The Stranglehold's pot design was based off Knight and Hale's Long Spur Pot, but a few tweaks have been added to make this call even deadlier. One of the reasons I like to hunt at the first of the season in Tennessee is that the gobblers are very vocal during the early season and respond to calling much better than they do later on in the season when they’re henned-up. In the early season when the weather is stinking hot, deer must have water and have it more often in the early season than they do in the late season. Therefore, I always scout water sources during the early season and look for deer trails coming into and going away from the water.